This weekend was one of Fayetteville WV’s finest for music. The Lewis Brothers out of Chillicothe Ohio came to town to play at the White Water Lounge just off of route 19 in Fayetteville. There style of music is rockabilly with what sounds like a touch of bluegrass splashed with a hint of jazz. The band consists of 5 members Richard Lewis (stand up bass, guitar, and vocals), Russell Lewis (banjo, harmonica, and stand up bass, vocals), Jason (fiddle, trumpet, and vocals), Jeff Lewis (guitar, stand up bass, and vocals) and Dennis Foreman (drums). In-between sets they would switch out instruments with each other and played with such energy that the crowd was dancing at their tables, around the bar and on the dance floor. At one point in the night Russell Lewis was playing the stand up bass across his knee in the floor. It was soon taken out onto the dance floor and played with the dancing crowd by Jeff Lewis while the rest of band played just as wildly, and much to the delight of the crowd! The sound, singing and rhythm stayed perfect through it all. 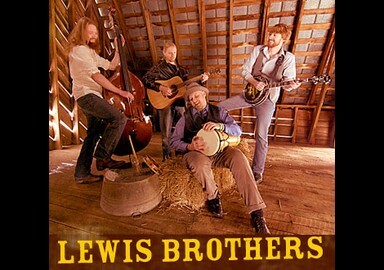 The Lewis Brothers started playing together the end of 2009 coming from very different musical backgrounds. They joined together to form an incredible band that has quickly become one of the White Water Lounge’s favorites to show case during the outdoor adventure season. The Lewis Brothers played originals such as “I took a shot of Whiskey” “Get it together” and “Something’s gotta give” just to name a few. They played an excellent cover of Garth Brooks’ “Walking after midnight” and thanked the packed house and WV by singing a cover of John Denver’s “Country Roads”. "A driving Rock mindset and Americana chops out the wazoo, right on the corner of Roots Rock Blvd. and Acoustic Americana Drive." The Lewis Brothers will perform in Athens for the first time at 10 tonight at Jackie O's Pub and Brewery, 24 W. Union St.The band is composed of three brothers who have played music separately most of their lives but finally came together with drummer Dennis Foreman to form the band. Rich Lewis played for years in his band Schooley Station, and Jeff Lewis played with Big Scioto among others. The two finally collaborated with Foreman and their older brother Rusty in 2008. They just finished recording their first CD and have yet to announce a title or release date. 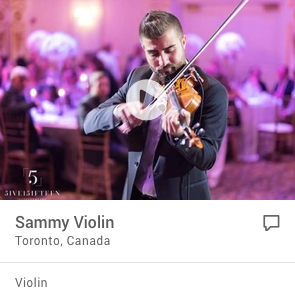 Aside from their grandfather, who played the fiddle and their uncles who played many instruments, brotherly competition was the first thing to interest the brothers in music. "Rich started playing the piano," Jeff Lewis said, "and I decided, 'he's not going to play it if I can't.' And Rusty started playing the guitar, and Rich and I said 'If he's going to play the guitar, we're going to play the guitar.'" This competition may have led to the brothers' familiarity with a wide variety of instruments. Each band member is proficient at many instruments, so the band has a fluid stage presence, switching instruments and leads depending on who wrote which songs. "We don't have a lead guitar player or a lead bass player or anything," Rich Lewis said. "We do a pretty equal job of trading around. 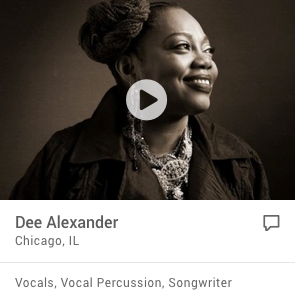 The most consistent part is Dennis on drums." The brothers admitted there are stresses that come when working with family, but they know they're in it together, giving them an all-for-one, one-for-all mentality. If the brotherly competition really gets out of hand, Dennis Foreman is always there to diffuse the situation. "Whenever tension between us does get too high, Dennis will come in and do something to distract us, like rip a phonebook in half," Rusty Lewis said. Since all of the members came from a different musical background, they have created a sound that is varied. The brothers said they do not want to pigeonhole themselves into a specific genre. After just a few minutes of talking with the four members of the Chillicothe-based band Lewis Brothers, it comes as no surprise that the 12 original tracks on the band's debut album were collaborative writing efforts. After all, put Russell, Rich and Jeff Lewis and Dennis Foreman in a room together, and it won't be long before they are finishing each other's thoughts and sentences. That's been part of the band's regional artistic success, which its members hope will expand outside the borders of Appalachia during a 14-city tour launching at Chillicothe's Swanky Goat downtown Friday night. "For the most part, I think someone will introduce a song that they've been working on and we shape it as a group," Rich said. "That's the coolest thing," Foreman added. "Instead of it just being their song, like he said, the shaping part, everyone gets to be involved." For example, Rich recalls one song Jeff had concocted in his mind as falling into the rock genre. Dennis heard the song and suggested it would come off better as in a swing style. With some additional work and collaboration, that's what it became. "Just like that, the song shifted, and it's still still one of our more popular songs today," Rich said. Lewis Brothers, which has quickly become a fixture at several area night spots and events, is the product of both family ties and those of the musical variety. Raised around music, three of the band's four members previously performed with other area music groups. When the time was right for them to come together almost two years ago, their previous visibility from other bands helped the new group gain access to local performance venues more quickly than a regular startup band might be able to. The band took advantage of the opportunities, first playing primarily in front of friends and family and eventually establishing a broader fan base. The CD release, with its 12 original tracks and one traditional song, comes in part because of requests from that growing fan base. Getting the band's debut album ready for public consumption was about a six-month process, from the original recording sessions done in a homemade studio in a barn across from the former Don's IGA to the mixing and mastering of the tracks and the creation of the album artwork. Rich said the group was deliberate with its debut and wasn't about to rush it. "We wanted to do it to the point of being very proud of it," he said. "I think all of us are extremely proud of it." That's not to say the process didn't have hiccups. "We thought we had everything ready and thought, 'wow, we might have them ready by this day' because we wanted to sell them early, but they had a flood in Nashville, and that's where we were having it mastered at," Dennis said. "We couldn't catch a break there, they had water in the studio." While each of the band members said they don't have a specific instrumental role in the group -- each plays several instruments and contributes to vocals -- Dennis is perhaps the most active in the promotional end of its operations. His work on the phones played a big role in lining up the tour covering 14 cities in 16 days, starting with Friday's Chillicothe performance. Other cities on the tour include Muncie, Ind. ; Louisville, Frankfort and Lexington, Ky.; Knoxville and just outside Nashville, Tenn.; Greensboro, Wilmington and Asheville, N.C.; North Myrtle Beach, S.C.; Roanoke and Durham, Va.; and Fayetteville, W.Va. During the stop in Knoxville, Dennis said the group would be a "Blue Plate Special," in which a local National Public Radio station will film the band and put members on live radio. The band is looking forward to the tour for several reasons, including the chance to play some new venues and freshen up the act -- something it will do when performing locally by sometimes switching up the instruments used to perform certain songs. It is not, however, seeing the CD and tour as the first step toward any sort of future stardom. "I don't think any of us have delusions of making a million dollars," Rich said. "I don't think our goal is to be conquerors of the world, but I don't want to sell ourselves short, either." "What we did was made a piece of art," Dennis said. "We just want people to appreciate our art. It started out a typical Wednesday, but things soon changed. Upon entering Southern Komfort Karaoke Bar and Grill, I knew things would be different this evening. First off, there was a band playing instead of the usual karaoke crowd. I hoped for the best and it only got better. On the stage was the Lewis Brothers Band. Composed of Richard, Russell P. and Jeff Lewis, accompanied by their percussionist Dennis Foreman, the band began their set with a folk gospel song. From there they went into a wide variety of selections ranging from bluegrass to rock. 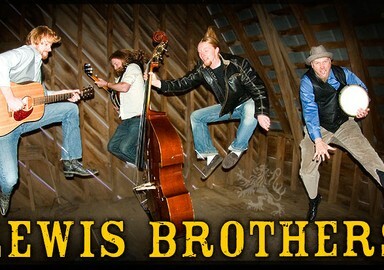 Lewis Brothers are a supercharged folk rock group from Appalachia guaranteed to make you move. Their music is a melting pot of rock-a-billy, swing, bluegrass, and folk featuring traditional instruments, rich harmonies, and a contagious energy. They have traveled the United States delivering unparalleled performances at venues large and small. Their songs are more than just foot tappers -- they are body movers. So bring your dancing shoes and get your party on! Call it supercharged folk rock. Call it Hillbillery. Call it fun. Call it Lewis Brothers. The band was formed by brothers Russell P., Richard, and Jeffro Lewis with friend Dennis Foreman, each bringing a unique talent to the group. Dennis brings a high-energy rhythmic performance as the brothers exchange responsibilities of banjo, guitar, and upright bass. 1. The "power set" - intended to inject serious energy into any audience, this set is usually 45-75 minutes of original tunes and possibly a cover or two. 2. The "bar gig" - lasting 2 to 3 hours, usually split into two sets, this one will guarantee blisters on your dancing feet. Typical covers include rearranged fresh takes on Kings of Leon, Woody Guthrie, Hank Williams, Kenny Rogers, Ryan Adams, Patsy Cline, and other traditional folk tunes, among others. Hey, Hey Sister, how you feel tonight? Hey, Hey Sister, do you feel alright? Hey! How you feel tonight? Have you heard from me? Well thank you but you’re just another pay-check in disguise. Tell me now, what is wrong with all those other guys? The attention that they’re giving you, should not go unseen. That silver spoon don’t taste so good when the handle isn’t clean. So here we are together, and I just can’t figure why. The fact I stood three feet above you, somehow made you mine. There’s not that many things about me that I want you to know. What’s with all the questions, am I staring in your show? And I feel I’ma being interviewed, and I still can’t figure why. The only thing I promised you is I would make you cry. And I guess you took that as a challenge. You’re tough after all. But to crack this code, you’ll need more, than your wonder bra. Why, oh why, do you think we hafta play this game. I was honest from the start girl, so don’t hang your head in shame. Just take the good times as they come, don’t document the past. Tommorrow is another day, lets make this night last. About the last few hours and that we can’t continue on. But let me let you in on a little secret that I know. Tomorrow you’ll still be here, but tonight I hafta go. So please don’t ever feel like that you spent this night in vain. Just think of what I’d tell my friends, If I only knew your name. about it like you didn’t have a plan. And understand the madness now at hand. the little things that I don’t understand. reason we should be here as we stand. I can be yours tonight.